The Medieval period produced some of the most illustrious monarchs in European history. Canute the Great, Edward the Confessor, William the Conquerer, and Richard the Lionheart are some of those whose fame has placed an alluring epithet behind their name instead of just a Roman numeral. 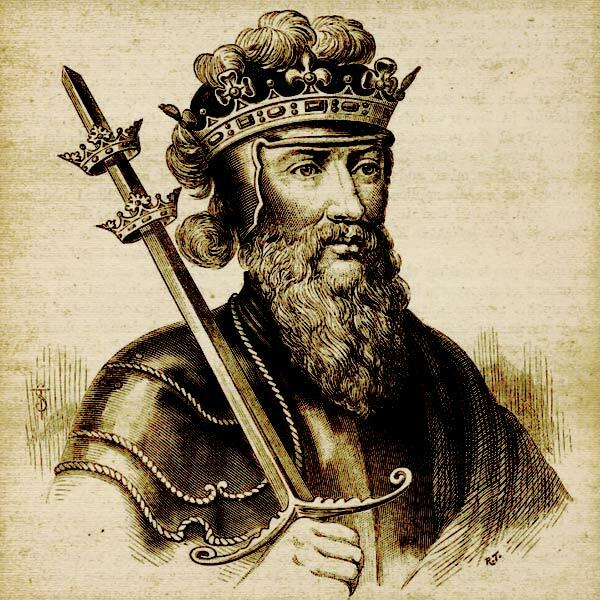 But oddly enough, King Edward III of England has no such moniker, though his deeds during his fifty-year reign perhaps should have earned him such an honor. The eldest of the four offspring of Edward II and Isabella of France, Edward was born at Windsor Castle on November 13, 1312 at 5:36 AM, making him the first English monarch to have their exact time of birth recorded. According to David Williamson, Edward was proclaimed Keeper of the Realm by his father in 1326; it is still unclear as to why he never held the title of Prince of Wales. The deposition of Edward II the following year resulted in the 14-year-old Edward's ascent to the throne on February 2, 1327. Though he held the title of King, he was hardly able to use his authority no thanks to his mother, Isabella, and her lover Roger Mortimer. They controlled Edward's every move, especially in government. Supposedly, he was to marry either a French or Aragonese princess, but his marriage to Phillipa of Hainault in 1328 was mostly on the whim of his mother. Coincidentally (or perhaps not), the match was perfect and Edward and his new bride spent twenty-five happy years together, producing twelve children, nine of whom lived to see adulthood (an impressive ratio considering the conditions of the day). Phillipa was made Queen less than a month after the royal marriage. Edward quickly became weary of being under the control of Isabella and Mortimer. The line was finally crossed in 1330. According to W.M. Ormrod, Roger Mortimer interrupted the King and his royal council at Nottingham. Mortimer had become suspicious of some of Edward's doings, and demanded that the King be interrogated about them. Edward was insulted by this action. On the night of October 19, 1330, Edward ordered a group of his trusted knights to enter Nottingham Castle and take Mortimer prisoner; he was later executed. He had his mother Isabella confined to a castle for the rest of her days. 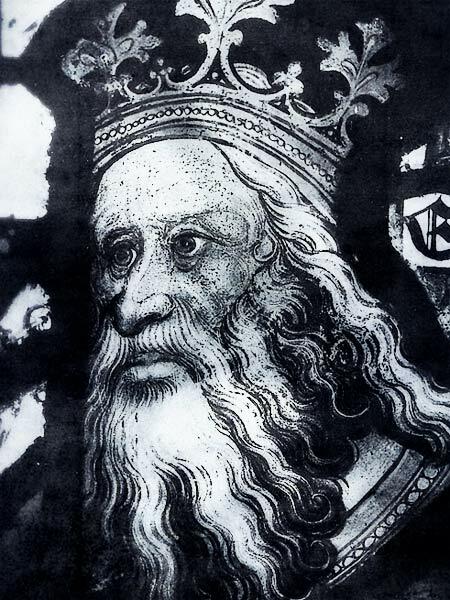 Edward's reputation as a warlike king had spread quickly barely a decade after he was crowned due to the start of the Hundred Years War in 1337 with France. His victory in 1340 at the naval battle of Sluys helped secure England's control of the English Channel, and in 1346, he and his son, Edward of Woodstock (known to history as "The Black Prince"), handed France their first crushing defeat at the Battle of Crécy. 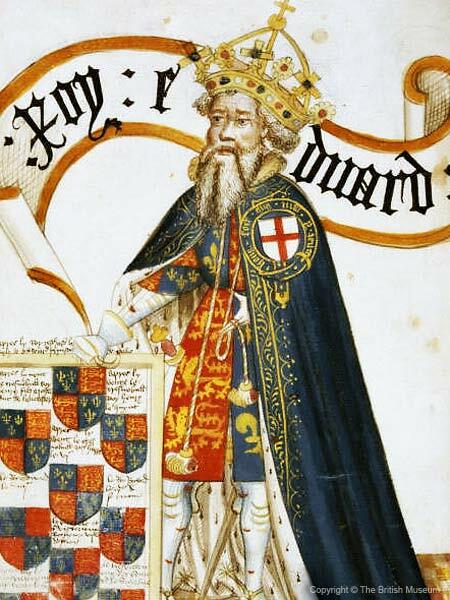 Edward III is credited for instituting the Most Noble Order of the Garter, recognized today as the oldest and most prestigious order of knighthood in the United Kingdom. We know that in the mid-1340s, Edward held a special council at which he wished to establish a knightly sect to emulate King Arthur and the Knights of the Round Table; sources vary as to the actual year, with 1347 being one of the more common. He had actually been carrying the idea for three years having first come up with it during a grand jousting tournament at Windsor. Nevertheless, in 1348, the Order of the Garter was officially established consisting of the membership of twenty-six knights, including the Black Prince and other knights who fought at Crécy, and of course, the King himself. St. George was chosen as the Order's patron saint as he is also the patron saint of England. An unconfirmed but popular account of how the Order of the Garter got its name and motto describes King Edward dancing at a masquerade with the Countess of Salisbury at Windsor. While dancing, a garter fell off her leg. Edward, being the spontaneous king that he was, picked up the garter and tied it around his own leg. When the other revelers gave him a strange look for this action, he declared aloud "Honi soit qui mal y pense!" (Shame to he who finds this evil), a statement that became the motto of the Order and perhaps also summed up Edward's feeling about his claim to France's throne. England's economy prospered during Edward's reign, but would later suffer. Around 1350, the outbreak of the Black Death killed roughly half of England's population. This caused Edward to increase taxation to compensate for the losses in agriculture and labor, an action that decreased his support and popularity. Other significant events occurred as well. Edward initiated government reforms that allowed nominal power to the growing middle-class. English replaced French as the national language. Edward oversaw and participated in extensive renovations and additions to Windsor Castle. And the ideal and practice of chivalry arguably reached its peak during the reign of Edward III. Queen Phillipa died on August 14, 1369 at Windsor Castle. The grief-stricken king tried to find solace with another mistress he met shortly thereafter, a woman named Alice Perrers. But the height of his grief came in 1376 when his eldest son, Edward the Prince of Wales, died of an illness and was laid to rest at Canterbury Cathedral where he remains to this day. All of England seemed to mourn the loss of her greatest warrior, but none more so than King Edward, who died of a stroke at Sheen Palace on June 21, 1377. His body now rests beneath a magnificent effigy in Westminster Abbey next to his beloved Phillipa. 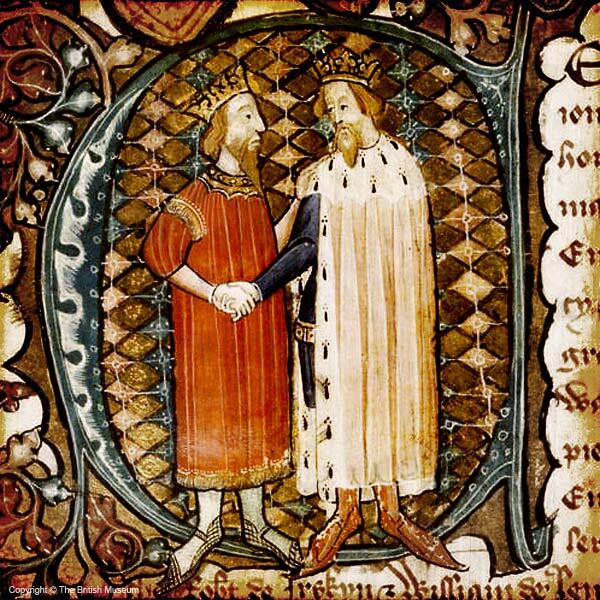 Edward III was succeeded by Richard II, the youngest son of the Edward the Black Prince, who ruled until 1399. A sword, believed to be Edward III's personal sword, exists to this day and stirred much controversy throughout much of the twentieth century. It is pictured and described in Appendix D of Records of the Medieval Sword, by Ewart Oakeshott (1991). The entire sword is an aesthetically striking piece and a true testament to the beautiful and complex metalwork of the Medieval period. One of the most attractive features of this attractive sword is its Oakeshott Type K pommel, which features six gilded rosettes that encircle the English coat of arms on a green background, all made of enamel. The other side of the pommel holds a piece of chalcedony covering a ragged fragment of brown cloth. The adder-skin covering of the grip still survives and is recorded as having noticeable hand-wear on it. Three gold "fillets" surround the grip, decorated to match the pommel and the cross. The gilded cross is of Oakeshott Style 6 in that both sides bend slightly toward the point; this one features twenty gilded rosettes (ten on each side) that match those on the pommel. Oakeshott classifies its blade as a Type XVIIIa. It is hollow-ground which further reinforces the notion that this is a true weapon of battle and not just an adornment of royal pageantry. The blade shows the emblem of the Order of the Garter on both sides, along with a heraldic portcullis. According to Oakeshott, the sword resurfaced in Spain around 1893 and ended up in the collection of Louis Marcy, who was a well-known antique dealer. Unfortunately, Marcy was also known for carrying and selling fakes, passing them off as genuine artifacts, particularly Medieval-era jewelry and other metal works. Naturally, because of the circumstances surrounding its surfacing, contemporary scholars assumed the sword of Edward III was a fake. As the sword was condemned as a fake, so too was its companion dagger. Its hilt is mostly of solid gold, not just sheathed in gold like the sword. Oakeshott, who believed both the sword and dagger were authentic Medieval artifacts, stated that the dagger's form is comparable to designs from the fourteenth century. There is some visible, though somewhat obscure, décor on the dagger's blade: a leaf-shaped motif and a cross representing St. George. Like the sword, the dagger's most eye-catching feature is its pommel. This, however, created even more controversy regarding its authenticity because of a stone fixed in the pommel (thought to be a piece of chalcedony). Doubters argued that the stone looked either too fake or too new. Oakeshott and other believers stated that like any form of rock, chalcedony can remain unchanged for millions of years; six centuries would cause no variation whatsoever. Although the scientific tests conducted on the dagger revealed that the material was in fact rock-crystal, and not chalcedony, the previous statement would still stand. An extensive investigation and battery of tests was conducted on the sword in the mid-1980s at The British Museum, tests that "proved" the sword's authenticity. I use quotes because there are still some sectors in the academic community who are still not convinced these weapons are genuine fourteenth-century artifacts. The investigative methods included X-ray and chemical analysis as well as special photography that allowed the tang and other underlying features to be seen. The way the metal was forged and the components were made, along with the degree of patina present, are consistent when compared to other weapons and objects that survive from the same time and place, give or take a half-century or so. Oakeshott states that the sword is dated "after 1348; say 1350." 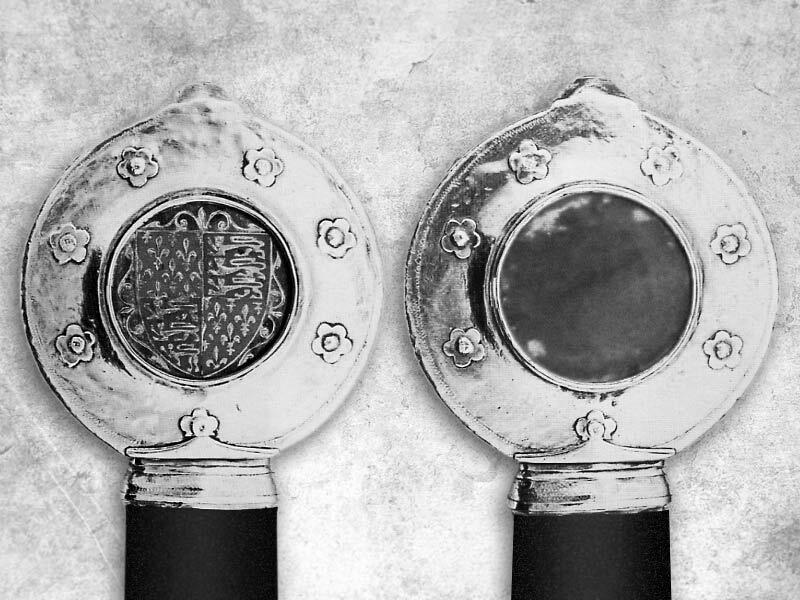 One of the many black-and-white photos of the sword in Records of the Medieval Sword clearly shows the emblem of the Order of the Garter etched on the blade along with another emblem that resembles a portcullis (a symbol with later royal connections). 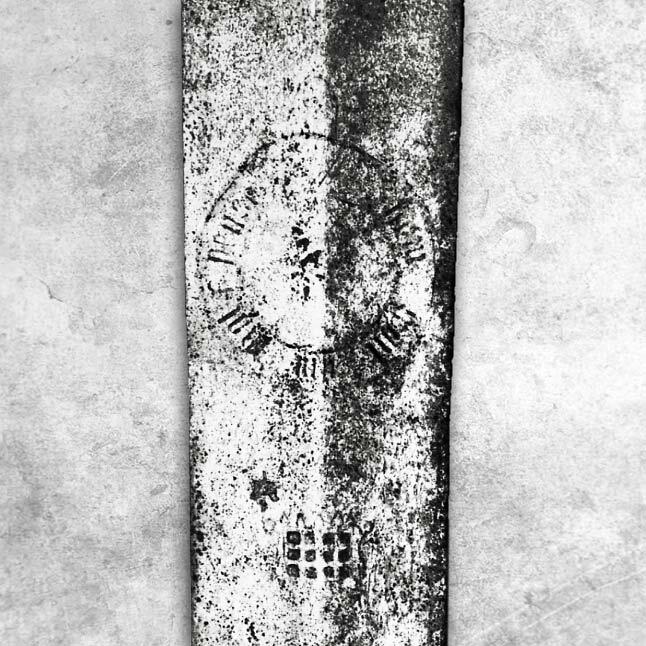 It's very likely that these emblems were placed on the blade as the sword was being constructed, but it's also just as probable that the sword was made earlier and the emblems put on later (i.e. after the Order of the Garter was established). 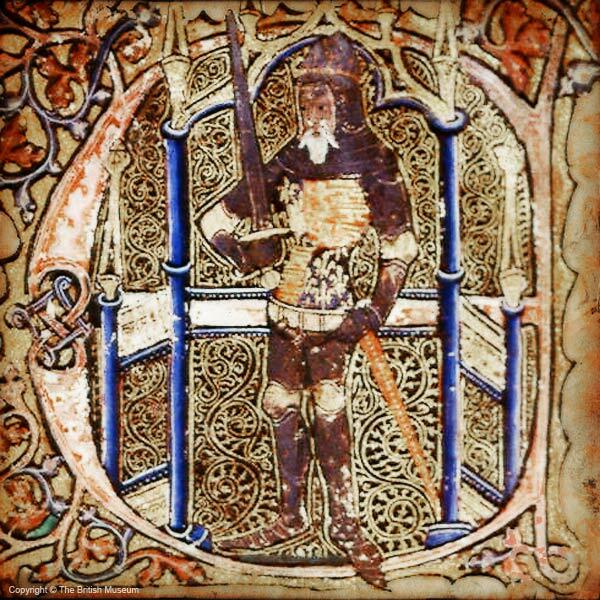 The original sword of Edward III is now in a private collection. Its exact current location is uncertain to this author, though its last known location was in southern Germany. 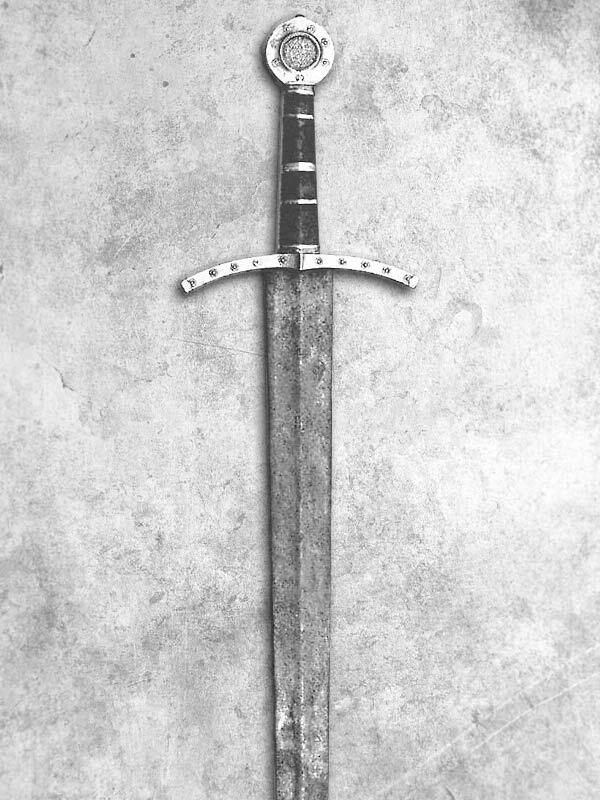 At least two companies produce replicas of the disputed sword attributed to Edward III. CAS Iberia / Hanwei makes a version of the Edward III sword (item #2033) that is sold by many retailers on the Internet. It features gold-plated steel fittings and a slightly hollow-ground blade. The reverse of the pommel holds a piece of something made to resemble crystal. It comes with a scabbard with gold-plated fittings. Arms & Armor of Minneapolis also makes a version of this sword (item #157). It lacks the hollow-grinding and crystal of the original, but is a result of Arms & Armor's research and careful design. This attention to detail and the amount of handwork involved results in a higher price, but one many enthusiasts deem worth every penny. 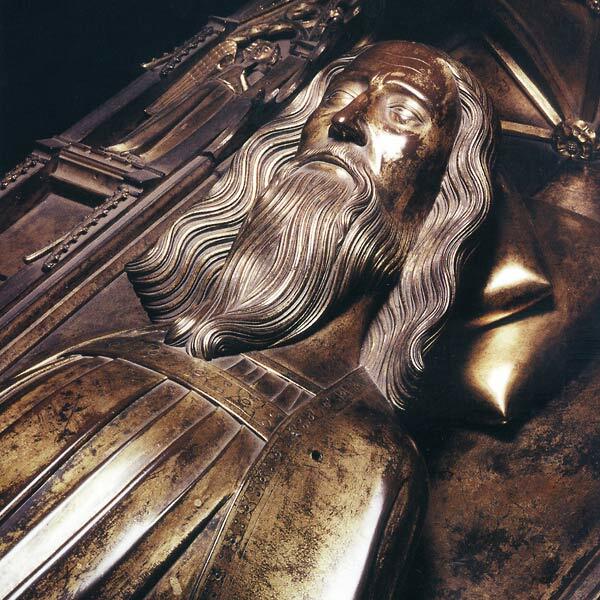 There is another sword attributed to Edward III which can still be seen today at St. George's Chapel. It is a large bearing sword with a long grip, straight guard, and wheel pommel. Edward III can be regarded as a quintessential Medieval monarch, much like Queen Elizabeth I for the Renaissance. He aspired to expand the English kingdom much as Julius Caesar aspired to expand Rome. The infrastructure of the current British government is modeled much the same way as during Edward's reign nearly seven centuries ago. Whenever we reflect upon the knightly code of chivalry, let us remember that such was the model of society during the sovereignty of Edward III. Photographic copyright notices are included on each photo, when available, and especially include The British Museum.